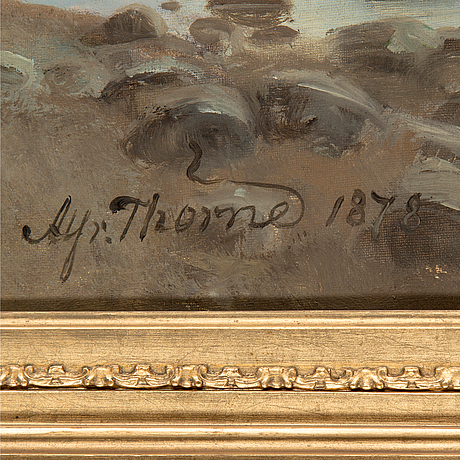 ALFRED THÖRNE, oil on canvasm signed Alfr. Thörne and dated 1878. 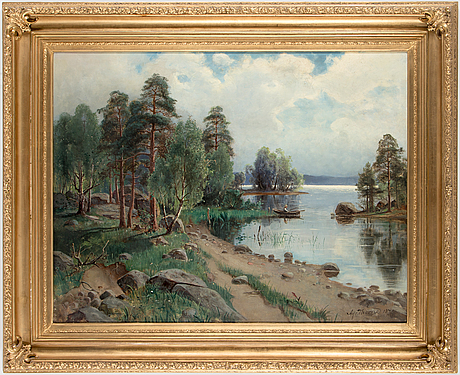 A lake scene. 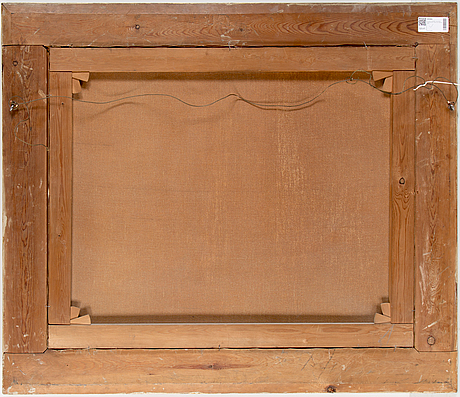 84 x 107 cm. Surface dirt. Minor loss of colour. Minor crazings.